my wife and my mother were helping clean out my grandmothers house today because she has to move into a nursing home. my grandmother told us if there was anything in the house that we wanted we should take it because the rest would be going to goodwill. 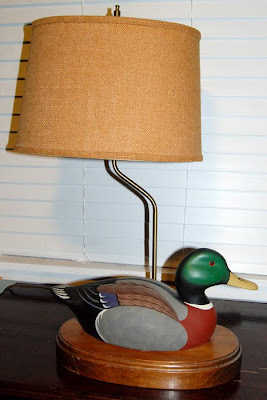 the only item i decided to take was a duck lamp. 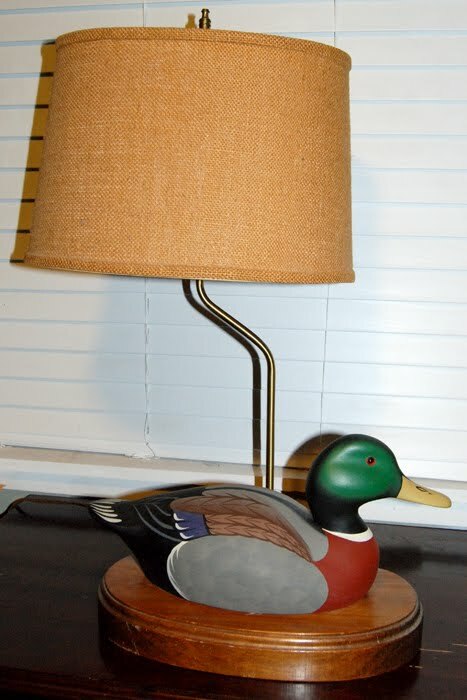 i didnt care for the lamp too much but figured i could take the duck off and put it on a shelf in my hunting/fishing room. 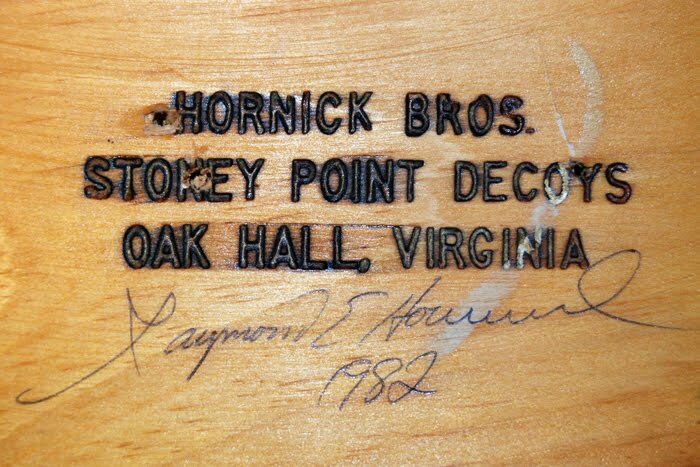 when i unscrewed the duck i noticed it was a wooden decoy made by "hornick bros. stoney point decoys" and signed by raymond e. hornick in 1982. i did some research on the web and found some like it that have sold for around $50-$75. not a huge deal or major collectors item but it made my night or rather birthday morning since i took it off the lamp after midnight. i ran a bath and it floats great. i will add it to my spread next season when i hunt lakes with feral mallards. ive been wanting a drake mallard for this very purpose. 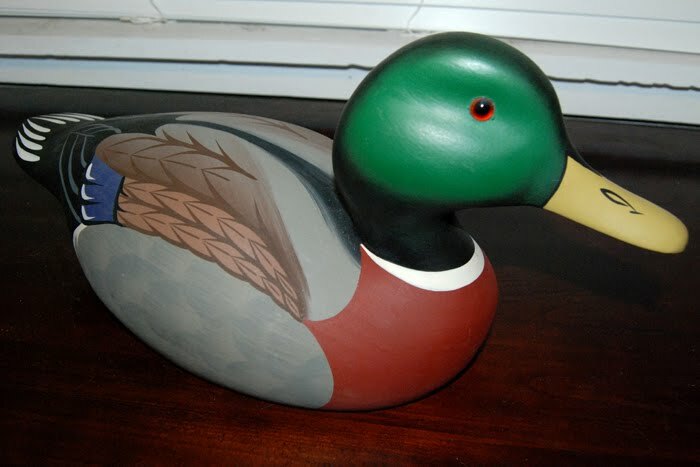 hunting over a decoy that has been sitting in my grandparents living room for the last 20+ years is much more special to me than a used plastic that i had planned to buy on ebay for a few dollars.